Please email info@bernerayhistorical.com for more information. More info on The Nurse's Cottage here. This well-attended event took place on in April 2013 in the Community Hall. It was jointly organised by Acair, the Gaelic book publisher, and Berneray Historical Society. 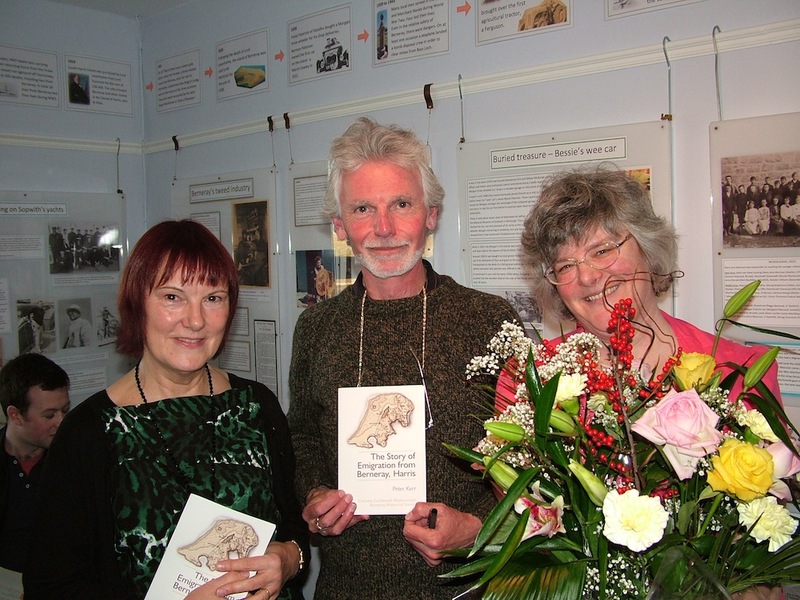 Copies of the book are available to purchase from The Nurse's Cottage. The Nurse's Cottage hosted a big crowd in December 2012 for the launch of the Historical Society publication The Story of Emigration from Berneray, Harris written by Peter Kerr. The book represented the culmination of the Society's 18-month project, 'A' tilleadh ar n-eachdraidh dhachaigh' (Bringing Our History Home). The project sought to explore the historical and cultural impact of emigrations from Berneray, by establishing who went where, when, how and why? It discovered aspects of Berneray’s Gaelic island culture that the emigrants took with them and which have been maintained in their new lands by their descendants.The project also included a conference held in the Community Hall in August. The Gaelic version of the book is available online as a free download. A' tilleadh ar n-eachdraidh dhachaigh is part-financed by the Scottish Government and the European Community LEADER Innse Gall 2007-2013 programme.